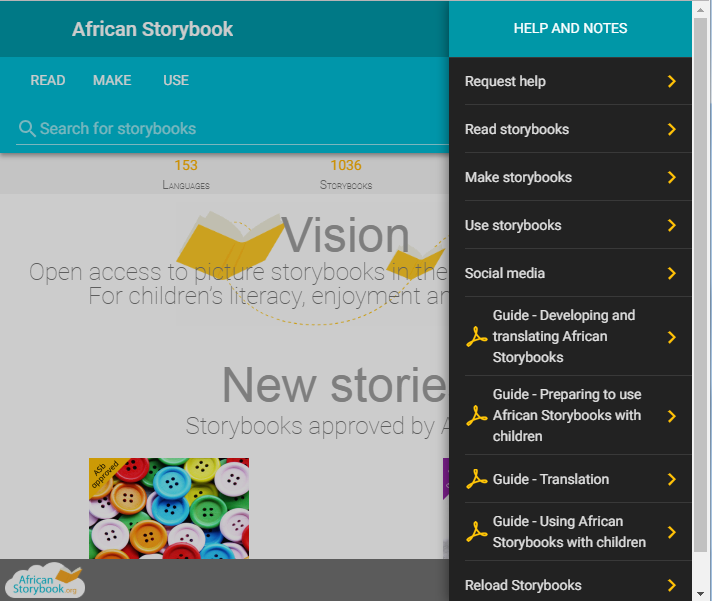 The purpose of these Guides – each a 16 to 20 page booklet – is to share our experience and create an imagination for how to use the African Storybook website and storybooks. The Guides are not intended to be comprehensive, but record what has worked for us and our partners since 2014 when we launched the website. Read the latest newsflash to get the links to the guides.